Happy Tuesday everyone! Who needs a coffee? Definitely me! Is anyone else addicted to iced coffee in the Summer? 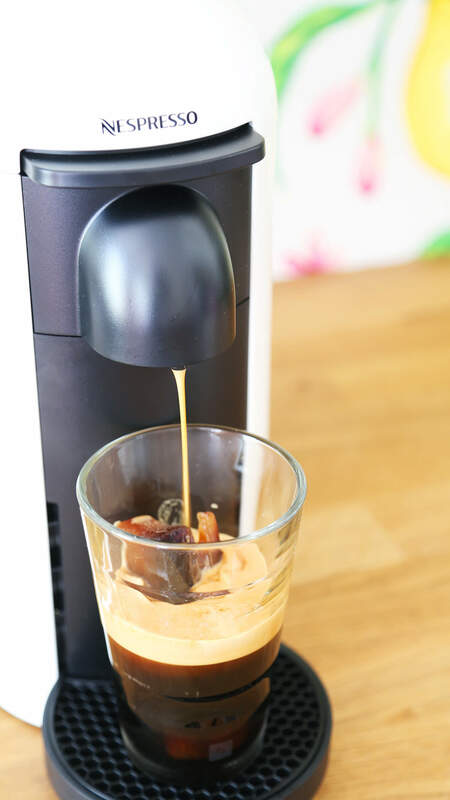 Luckily I’m working with Nespresso for this next post and sharing two delicious iced coffee recipes. 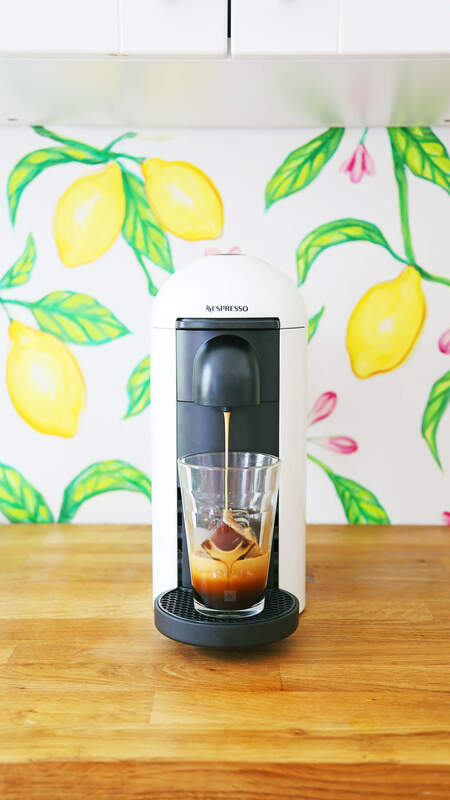 This Summer Nespresso is releasing a new line of iced espressos for their Vertuo System. 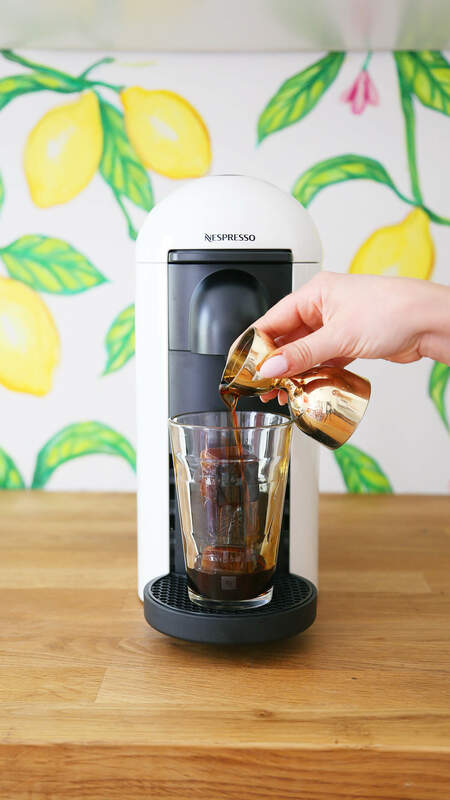 The limited edition espressos are more concentrated and have been specifically designed to be poured over ice to deliver a refreshing beverage. *First, make your mint/vanilla syrup. 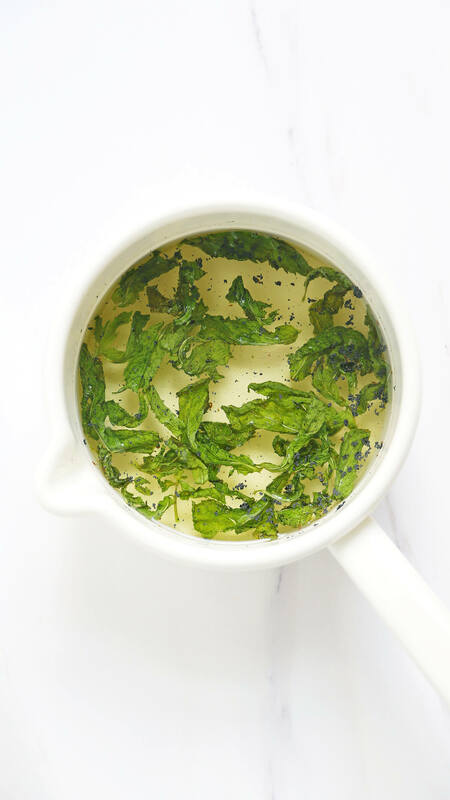 Add 1 cup of water, 1 cup of sugar, 1 big bunch of mint, and 1 vanilla bean (scrape the inside) to a saucepan. Heat over medium heat, whisking constantly until the sugar dissolves. Simmer for about 10 minutes and then remove from heat and let completely cool. 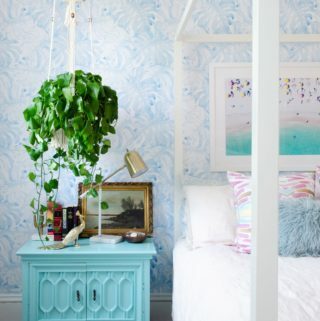 Strain out the mint and vanilla bean and store in a jar or bottle. Extract 1.35 oz. coffee into a 12 0z. glass over Nespresso ice cubes. Add 1 tsp. (or more if desired) of mint vanilla syrup and shake or stir the drink. Garnish with a mint sprig. 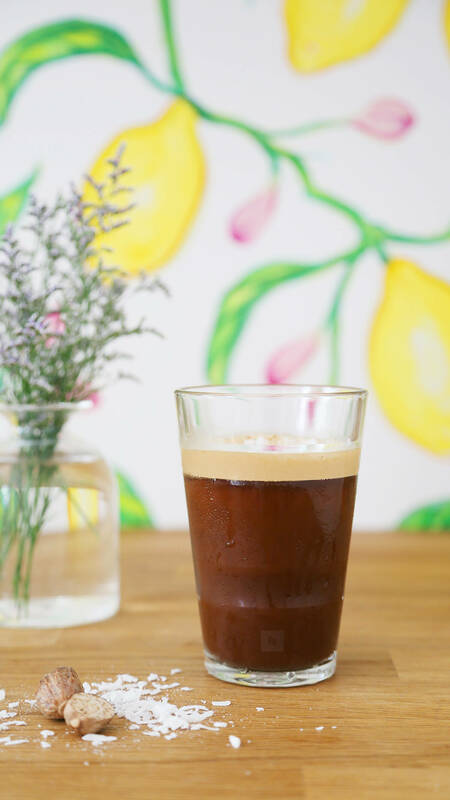 Adding Irish whiskey to this iced coffee is perfect for a summery Irish Coffee variation. 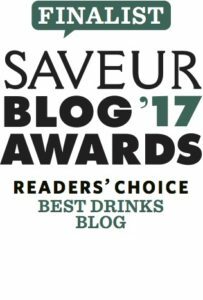 I was inspired by a classic Irish Coffee for the Mint + Vanilla Cafè Shakerato. 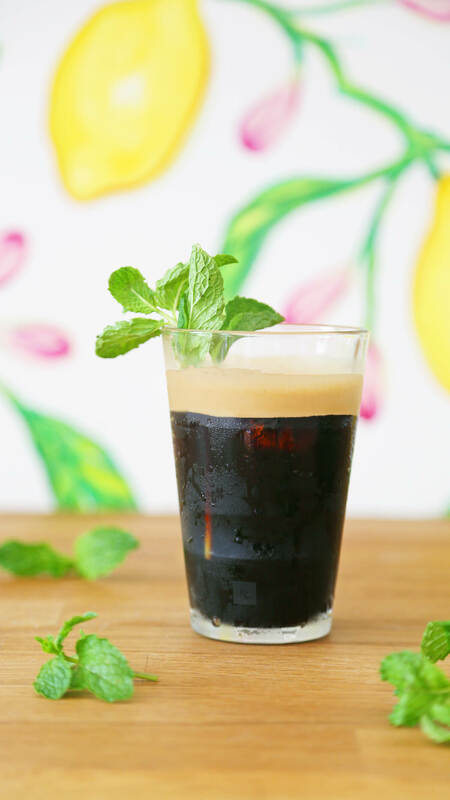 Incorporating mint into this iced coffee by making a mint syrup turned out delicious and super refreshing. 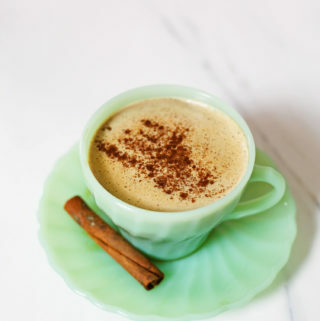 The vanilla adds a hint of sweetness and flavor that compliments the coffee perfectly. Making coffee cubes is easy. 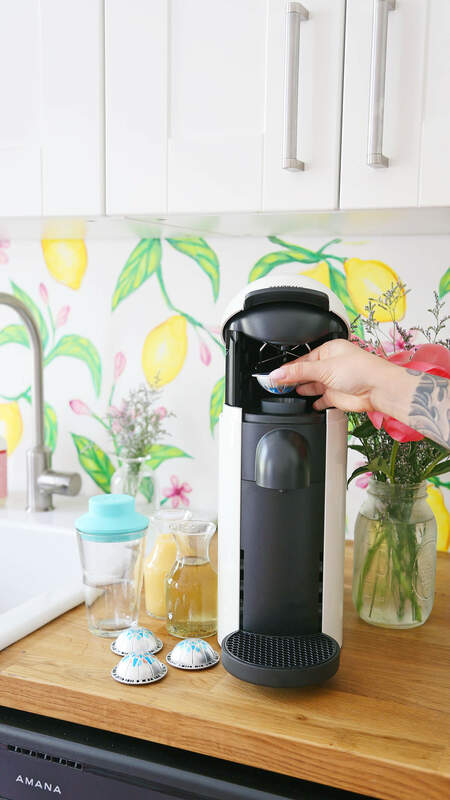 Just brew some coffee, pour it into an ice cube mold, and send it to the freezer. 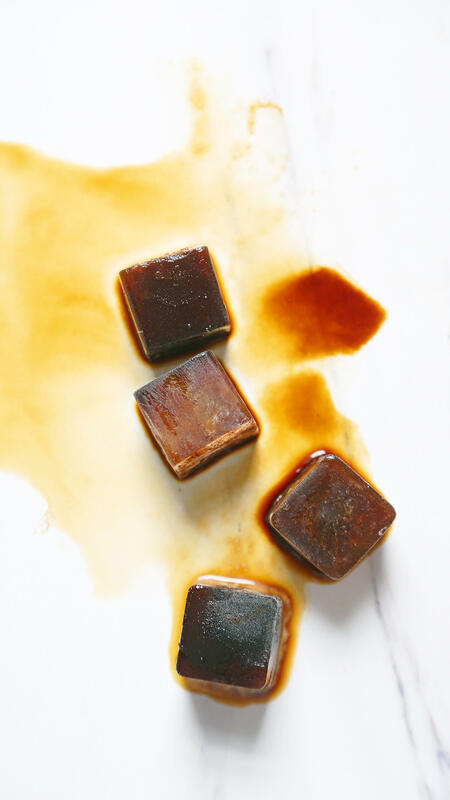 Coffee ice cubes keep your iced coffee cold and add more coffee instead of watering it down! Add Nespresso ice cubes to a glass and pour in the dark rum and coffee liqueur. Extract 1.35 oz. coffee on top. Next, add your condensed coconut cream and stir until incorporated. 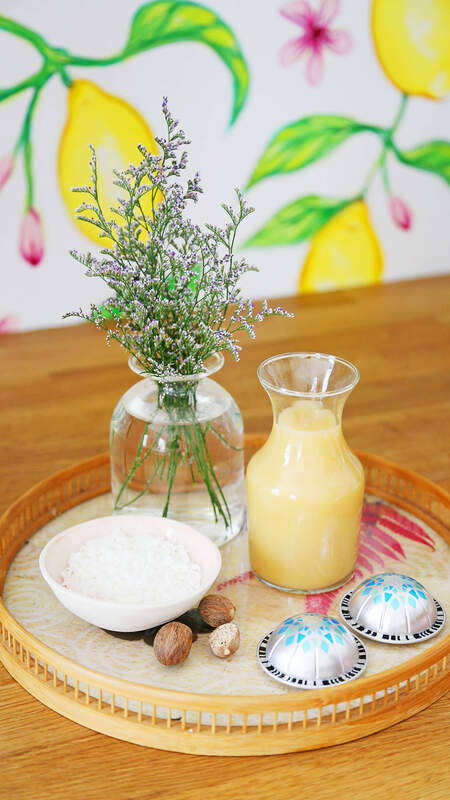 Garnish with coconut flakes and freshly grated nutmeg. 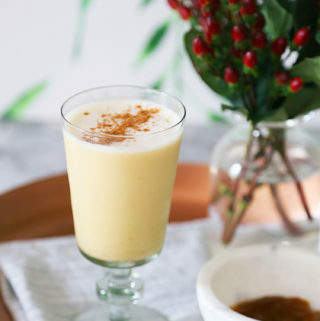 For a booze-free version omit the rum and coffee liqueur. 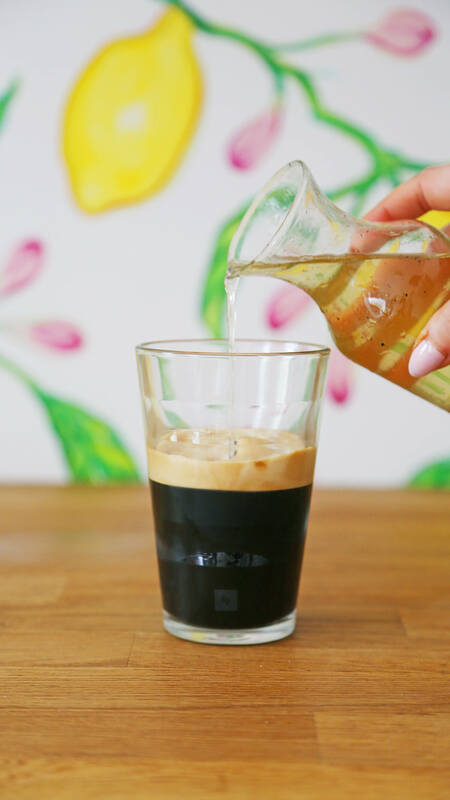 Have you ever had a Vietnamese Iced Coffee before? They are delicious and are kind of my guilty pleasure. Usually, I’m strictly a black coffee drinker but adding condensed milk to iced coffee is so tasty! Instead of using regular sweetened condensed milk I bought condensed coconut milk. 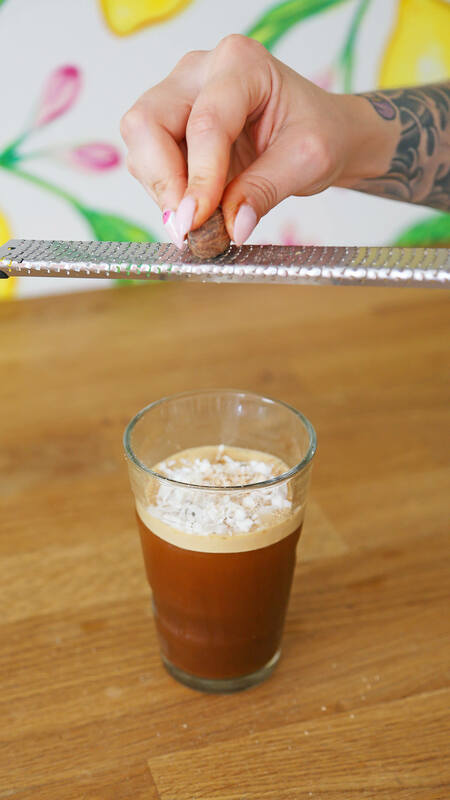 Using condensed coconut milk is the perfect way to add sweetness and a tropical element that makes this iced coffee super Summery. Bonus that it is also dairy-free which makes this iced coffee vegan as well! 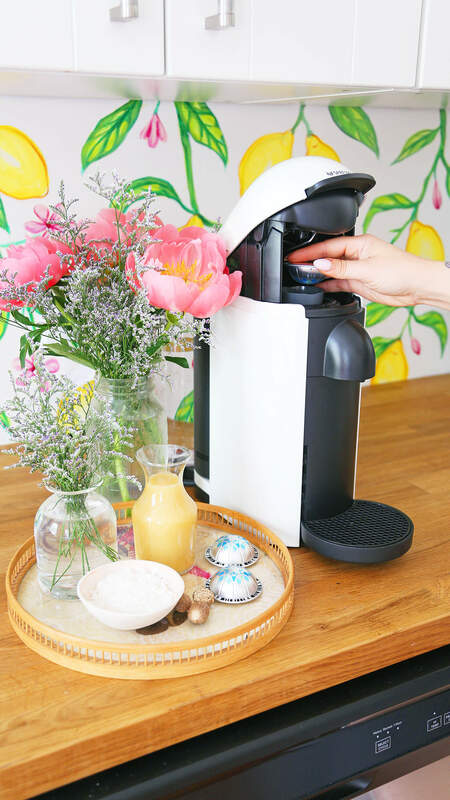 The Vertuo System makes mornings so much easier when you can brew a cup for a quick fix. Before the VertuoPlus, I was making pour-over coffee — which I love — but it requires a lot of effort and time. Sometimes in the morning, I need a fast cup of coffee that still taste good so I can start tackling my emails and get to work! I’m honestly so impressed with the quality and flavor of the coffee and how this system brews. 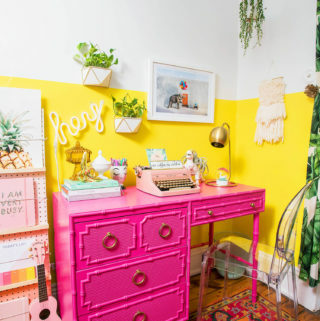 The possibilities are endless and it keeps stress levels low (which I need). I love iced coffee and I’m so happy to be able to make it at home now. The great thing about both of these recipes is you can serve them with or without booze. That makes them appropriate for morning and if you need a pick me up at happy hour or after dinner, then add some spirit! 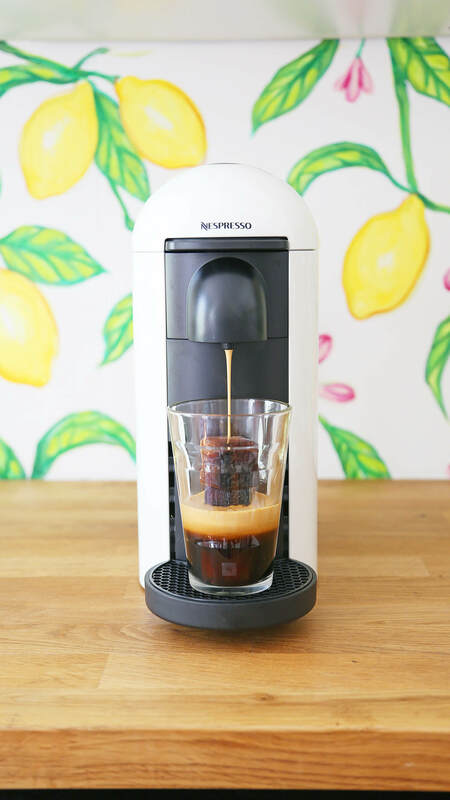 I hope you will give both of these recipes a try and don’t forget to check out the VertuoLine system and you can purchase all your espressos here. Happy brewing! This post is sponsored by Nespresso. All opinions expressed in the post are my own and not those of Nespresso. 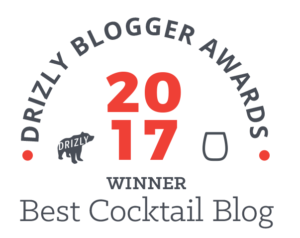 Thank you for reading the sponsored content that makes Arsenic-Lace possible!